OK, let’s be clear. Whatever the bookies now claim, Dumbarton can take points from this game against Ayr, as well as from champions Livingston and high-flyers Forfar. I say that, because the pessimistic view is that by getting tanked at Brechin, failing to win against two sides below us and losing out to Airdrie United last Saturday, Sons’ form over the past five weeks has not been sufficient to create any real hope for this run-in. It’s others upon whom we are relying to ‘get the job done’ – that is, to secure a 2011-12 Second Division slot – so the cloud-laden argument goes. That’s dangerous nonsense. Sons can’t afford to take a back seat in the race to the finish line on 7 May. Nor should we need to. For a start, with nine points to play for, Dumbarton have a six-point advantage over Stenny in the battle to avoid a relegation play-off place, even if the goal difference has to be watched. This constitutes a huge advantage. But we should think of it as a lever, not a cushion. Second, the last few results do not recount the whole story – though they do tell one with an important, sting-in-the-tail moral, which gaffer Alan Adamson and his team will be only too aware of. For the purposes at looking what we have to achieve over the next three matches, I’d contend that the 6-0 thumping by the Hedgemen is now well behind us and that the 5-2 Peterhead win is also a one-off. The more serious issue – as the newly confirmed manager made clear in his post-match interviews after losing 2-1 to the Diamonds – is that we are “failing to ‘close out’ games”. On the upside, Sons have been averaging 2.5 goals a game (ten) over the last four outings. On the downside, eight have been conceded, and not in the ‘right’ matches – ones where we still took maximum points. Last week wasn’t the best Sons performance, and in periods of the second half Airdrie United came at us in fast, ferocious fashion. They were a far cry from the lacklustre side Dumbarton outperformed by the same scoreline on a cold night back on 1 February (and also for much of the home match eleven days later, when two points were thrown away via an 87th minute Diamonds’ equaliser). That said, Sons competed well in other portions of the game, took the lead through a bit of Jordan Halsman free-kick magic, and went in ahead at the break. It was the last 15 minutes where everything went wrong – not for the first time this term. Stenhousemuir’s last-gasp equaliser against East Fife didn’t help, either. So what’s going wrong? Detail and particular player performances aside, getting trapped and flustered too deep exposes a tendency towards edginess at the back under pressure. Failing to clinch chances at the other end adds to the difficulty. Football can be a painfully simple game at times, as well as a gloriously complex one. In honesty, a draw would have been an acceptable result against Airdrie, given the balance of the game. But in the end it was their greater determination and attacking commitment that won the day – deservedly. As soon as that equaliser went in, the winner looked not far behind… and that’s precisely how it turned out. The lesson for today is surely, at least from this fan’s point-of-view, to take the game to Ayr and to try to build up the passing rhythm which, on several occasions this season, has made Dumbarton look like a top-half Second Division side, rather than one of the strugglers (such as our actual position would suggest). All in all, the past few weeks may have been frustrating, but they have not been devoid of hope and decent football. Relying on others to fail is not the way to go – though Sons fans will undoubtedly be wanting the Wasps to beat Stenny, or as second best will be rooting for a draw, in the other match that we will all be keeping an eye on. So it isn’t ‘squeaky bum time’ yet, but it could be at 5pm if Sons are not courageous – and careful. On the other hand, three points today would put our posteriors at rest, keep Sir Alex Ferguson’s odd phraseology out of our minds, and enable Dumbarton to enter the next two games for enjoyment more than results. ’Mon Sons! A few weeks ago, Dumbarton fans were given the opportunity to vote on issues being mooted as part of a radical restructuring of the game in Scotland. The results were overwhelming – for a national (rather than regional) set-up for the second and third divisions, for fan representation on the governing bodies of Scottish football, and against the idea of SPL ‘colt’ teams in the lower leagues. Now the SPL have decided, at their meeting on 18 April, that a vote on restructuring proposals will probably take place later in May. Supporters Direct, among others, will be urging SFL clubs to make their own preferences clear on issue such as those Sons fans voted on – in order as not to be left on the sidelines when the big boys vote. 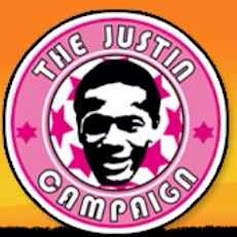 Meanwhile, the politicians hawking around for votes of a different kind in the Scottish Parliamentary elections on 5 May have also been giving the beautiful game some consideration. All told, they have produced some interesting ideas and commitments. But will these still be on the table after our votes have been cast? Again, it will partly depend on grassroots pressure. So, for the record, the Labour Party have backed greater community involvement in football and are considering a specific Sports Bill. The Scottish National Party, in their manifesto, have pledged their support for an enhanced role for Supporters’ Trusts. The Liberal Democrats say they want “involvement of democratic community organisations and co-operatives in the governance of football and other sports". The Conservatives have not pledged anything particular, though several of their candidates mention football connections in their biographies. But the most specific idea has come from the Scottish Green Party. They have proposed a £1 million ‘leverage’ fund to help communities purchase their football clubs – “giving supporters first refusal if their club comes up for sale, and providing grants and loans to support buy-outs,” says co-leader, and Son of the Rock, Patrick Harvie. My match report first appeared on the official Dumbarton FC website. Dumbarton were in the end well beaten by Airdrie United in a tough contest at the Excelsior Stadium, going down 2-1 to a second half resurgence from the home side – having led 1-0 at the break. With both teams keen to secure points and goals for their respective ambitions at either end of the table, the opening quarter hour of the game was an edgy affair. Airdrie United had more of the initial play. With Dumbarton looking unsettled at the back, they threatened on several occasions. Phil Johnston, in particular, made a number of darting, angled runs. At the other end, Sons occasionally harried their opponents, but without creating much more than a half chance for the vigilant Pat Walker. Then on 16 minutes Jordan Halsman broke the deadlock for Dumbarton with a delightfully struck free-kick from the edge of the Diamonds' penalty area, just after the home side had failed to capitalise on a similar dead-ball situation at the other end of the park. 1-0 to Sons. Moments later, United's Scott Morton connected with a chipped ball from near the corner flag, but his header flew past Sons 'keeper Michael White's far post. The match tipped back and forth for the remainder of the half. Ryan McCord went close for the Diamonds just after the half hour, but Dumbarton pressed back with increasing determination – beginning to control the match in midfield and looking more secure at the back, before suddenly wavering again under several late waves of attack. Graeme Owens won a free-kick for Airdrie in an almost perfect central position minutes before the break. But fortunately for Sons, he hit the ball well over the bar. Michael White pulled off two superb stops early in the second period, preventing United from getting back into the game, after the home side restarted with energy and purpose. For the first save he tipped a sharply-angled shot just off the near post. Then moments later he dived to block a close range effort on the ground. In between, Pat Walker burst through the centre for Sons, attempting to chip Diamonds' Mark Ridgers at pace, but lobbing just too high. Jordan White had another chance denied by the home side's 'keeper not long after. Meanwhile, at the other end, Dumbarton were increasingly riding their luck as the Airdrie United resurgence continued apace. Johnston struck wildly at one opportunity, several goalmouth scrambles ended in chances going begging, and another long free-kick from the far side was skied over Sons' bar. In an open game, both sides continued to create chances. Nicky Devlin, James Creaney and Ben Gordon made good clearances for Sons, and White again stopped McCord – who turned out to be just offside. The Diamonds continued to come forward in strength as Dumbarton clung on to their single goal lead tenaciously. A contentiously awarded free-kick 30 yards out gave McCord another opportunity, but he struck the ball safely into the Sons' keeper's arms. Coming on to replace number 9 Jordan White with nearly 20 minutes to go, Dumbarton substitute Derek Carcary nearly made an instant impact. Latching on to a ball worked out of a throw-in, he placed it with power, and high to Ridgers' right, inching it just over. Then a double disaster struck Dumbarton. On 76 minutes, Airdrie substitute Scott Sally came charging in for a high cross. Michael White mistimed his run out, and the Diamonds' striker nudged in an equaliser with his shoulder. The ball was in the back of the Dumbarton net again four minutes later, as Scott Martin bundled in from close range after McCord had been given free range on the far side. 2-1 to Airdrie United. Sons pushed back. Craig McLeish came on for Ryan McStay, but the visitors had run out of time. The result leaves Sons still fighting to keep out of the relegation play-offs, albeit with a six-point advantage over Stenhousemuir, who have a superior goal difference, with three games each still to play. This summary first appeared as Sons lose to Airdrie United on the official DFC website. Dumbarton's earlier efforts in an end-to-end game were undone in the second half away to Airdrie United, as the home side came back from one behind to claim a 2-1 victory. Jordan Halsman gave Sons the lead on 16 minutes, with a sweetly struck free-kick from the edge of the area. While the Diamonds often dominated possession, Dumbarton clung on until the break. But then in the second half things began to fall apart. Goals from Scott Sally (76 minutes) and Scott Morton (81 minutes), both arising from defensive frailties as Airdrie piled on the pressure, cost Sons the game. Dumbarton now face a tough season run-in, still needing points (or slip ups from rivals) to be sure of avoiding the relegation play-offs. Ah, today's game against Airdrie United at the Excelsior Stadium creates all kinds of mathematical possibilities for Dumbarton.They key one is that if we win and Stenhousemuir fail to pick up any points in their match, the Sons are safe in the Second Division for next season. If not, well... it depends. Gaining a point advantage or keeping the points status quo would still be positive, as it would leave our relegation rivals needing 7 or (in all probability) 9 points from the next nine, assuming Dumbarton don't pick up any more - which is a possibility, given that our run-in involves the three top teams in the league.. Whatever - this game is an important one, no doubt. My fingers are crossed. First published as Vital victory for Sons on the official DFC website. Dumbarton secured a hugely important 5-2 victory over Peterhead this afternoon, in a dramatic game at Strathclyde Homes Stadium. After some early misses on both sides, and a fine save by Sons' Michael White from the visitors' Paul Tosh, Dumbarton took the lead through Jon McShane and then Pat Walker – going in 2-0 up at half time. In the second half ex-Son Dennis Wyness pulled a goal back for the Blue Toon. But Jordan Halsman put the home side 3-1 up again through a free kick. Then Mark Gilhaney made it 4-1 from the penalty spot, before Peterhead's David Ross hit a stunning goal for 4-2. Finally, Sons went nap on 5-2 through Craig McLeish, with Ryan McStay being given the sponsor's Man of the Match award. The win is crucial to Sons in their campaign to stay in the Second Division – and means they cannot now finish lower than ninth. 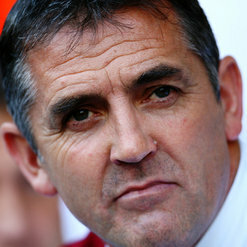 Ex-Dumbarton stalwart Owen Coyle, one of a trio of brothers who inspired Sons on the pitch in the 1980s, is now plying his managerial trade in the English Premier League – as high-profile boss of Bolton Wanderers. But earlier this month he took time out for a trip down memory lane (including reminiscences of Boghead Park, and playing with Sons in the Premier Division) by talking to the Dumbarton & Vale of Leven Reporter, and our own Andy Galloway on the Lennox Herald. He continued: “I remember everything about the place I could drive to Boghead right now and know my way about it and everything I loved about it. When you look at some of the players we had and the team I played in when Alan Moore was there and he's still a pal of mine. “We had some terrific players and that's what Dumbarton needs again they need those young players. I loved every time I was fortunate enough to pull that Dumbarton jersey over my head and I scored a lot of goals at a very good club. “When you put it into context, for Dumbarton to reach the Premier League then [1984-5] was remarkable,” Owen Coyle concluded. Meanwhile, Alexandria-born Dunfermline Athletic gaffer Jim McIntyre was a ball boy at Boghead Park when Dumbarton gained promotion to the top flight 27 years ago. 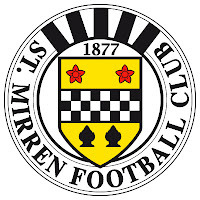 While the Sonstrust took a pioneering lead in establishing supporters’ trusts as an established and growing feature of Scottish football, others have continued the movement forward – not least Stirling Albion and Clyde, who have become Trust-owned and Community Interest companies respectively. Both, of course, face massive challenges on and off the pitch. But they have also made significant strides forward in the face of huge financial obstacles. The current economic climate, and the structure of the game, makes it increasingly difficult for small teams. 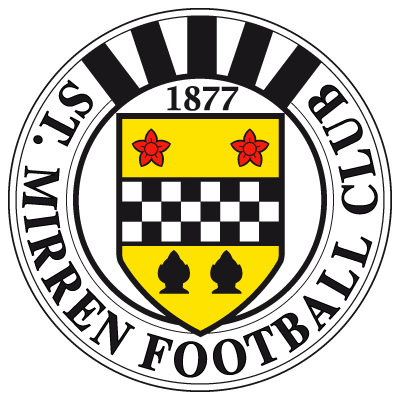 That’s why it was so encouraging to hear that a SPL club, St Mirren, are embarking on “something very special”, according to businessman Richard Atkinson – who is seeing through a radical community-backed takeover of Saints. Atkinson has set up a Community Interest Company called ‘10,000 Hours’ to buy a controlling 52% stake in the club, which was recently put up for sale by five of the current directors. The total £2 million deal is going to be financed by local people, charities, community groups and businesses buying shares. That will include around 300 fans contributing £10 a month, which will get them a say in how the club is run. There will even be a chance to earn a seat on the St Mirren board. Overall, the Saints will then become a partnership of individuals and organisations, ensuring that a wide range of people have genuine stake in the future of the club. Community links, expertise, further funds, and networks to others are also created. At around about 5pm this afternoon, a short summary of this afternoon’s crucial match between Dumbarton and Peterhead will appear on the DFC website, as usual. Except that on this occasion it will be live from Southport, rather than the bowels of the Strathclyde Homes Stadium. That’s because I am going to be missing this extremely crunchy game for the Sons, on account of being at the National Union of Journalists’ annual delegate meeting. At least that means (I hope) that a good wi-fi connection will come with the territory. It doesn’t, I can assure you, at most SFL Second Division Football grounds. Which is why you will sometimes see me swearing at my dongle – the one that fitfully provides mobile broadband, I hasten to add. This little factoid leads me to reflect about changes in the way football has been reported over the years. The reason I can do at least four paragraphs to sum up a game I haven’t witnessed (don’t worry, someone actually present will be writing the match report!) is that it simply involves producing a quick story out of the BBC news feed, Alan Findlay’s pithy tweets (you can follow those via @Dumbartonfc if you make use of the Twitterverse), and any number of eye-witnesses via mobile phone. All this would have been (quite literally) unthinkable when I wrote my first live match summary, which I think was around the late 1970s. That was while deputising for a friend at a Brentford game – my usual field was current affairs not sport – and the instrument of choice was a crackly old landline phone into an evening newspaper’s office. The whole enterprise was incredibly clunky. It meant writing your story out, or relying on shorthand so ropey it might as well have been a report of the Moon Landing, and then relaying it via an analogue transmission that made central London sound like Mars on a bad day. At which point someone else would knock the thing out on a typewriter… and send it through for compositing. Remarkably, there were far fewer mistakes than in many print outlets these days. Partly because you’d get a call back from an editor if there was something ‘hooky’ about your piece, and partly because it was proofread. In the digital age, such niceties can get, how shall we say, “ironed out” in the immediacy of the moment. But I reminisce. Dumbarton’s match day media team is actually quite extensive. Other external reporters aside, there’s Alan on Twitter (as mentioned), the expert photographic eye of Donald Fullarton (who’s been taking pictures of the Sons for over five decades, by my calculation), Andy Galloway scribing for the Lennox Herald, and Jim McAllister – in between announcements, assisted by your noble proggie editor acting as ‘spotter’ – producing reports for Sons View. Tommy Hughes sometimes steps in with pics, too. And then there’s me, tapping away at my iPhone’s virtual notepad, so that the first draft of the full match report (minus team lines and photos until later on) can be published online within an hour of the game. Actually, given optimum conditions, it could be even quicker than that. Minus the opening and closing paragraphs, the report is usually complete as the final whistle blows. That means it is an entirely sequential account – no rewriting or re-arranging with the hindsight, glow or glower of memory. The result my not always be as polished as I’d like, but it keeps the energy of the moment. First, though, I need to head down to the SHS foyer, find an Internet signal, fire up the computer, write and post the summary, and then continue the match report operation in the back of the Edinburgh Supporters car on the way home. Which can take a little gymnastic ability! Then again, at least you know you’re not going to be getting soaking wet or frozen to death, as the harden hacks of yore often did. Or stand around feeding endless coins into an unyielding handset in a public phone booth. Ah, those were the days! Anyway, that was then and this is now. 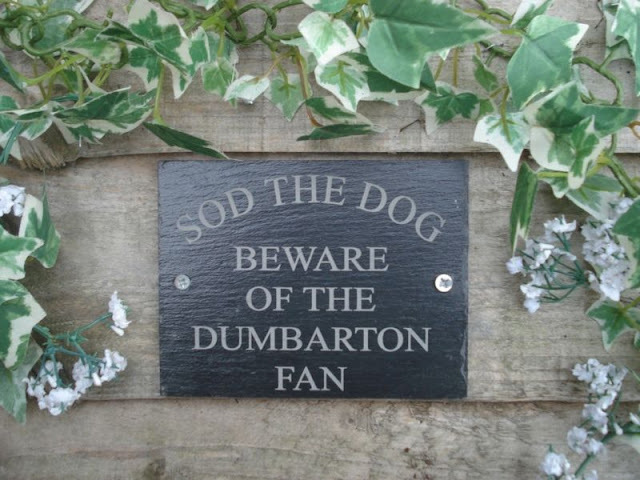 Dumbarton need as many points and goals as possible from our game against the Blue Toon, who are looking somewhat doomed to Third Division football next season – and also from the forthcoming trip to Airdrie United. Where we don’t want to end up is needing points to avoid the relegation play-offs from our last three matches with high-flying Ayr, Livingston and Forfar. Meantime, I’ll be tuning in from a far and keeping my fingers firmly crossed – while not typing or conferring. ’Mon Sons! This match report first appeared on the official DFC website. Dumbarton took one point from a 2-2 draw against Alloa Athletic, in an end-to-end game at Strathclyde Homes Stadium. With both teams keen to get points on the board, the game started off at a lively pace. On 6 minutes Sons' Jon McShane grabbed hold of a loose ball on the edge of the area and let fly, but his shot went just over the Alloa bar. Mark Gilhaney went on a darting run for Sons, past several visiting defenders, a couple of minutes later. But he found himself squeezed wide by the Wasps' back two. As Sons pushed forward with determination, Craig McLeish sent over a strong cross from the left, and McShane was just short of being able to test Jamie Ewings in the Alloa goal. Big Jim Lister threatened Sons twice at the other end. On the second occasion he beat Ben Gordon for pace, though the Dumbarton centre half recovered well and put in a skilful tackle with only Michael White in goal left to beat. Wasps' Andy Scott also blasted high over the bar at the end of another raid. However, the majority of possession stayed with the home side, despite a number of midfield slips. It was McLeish again, with a well-flighted free kick, who created a flurry of attacking activity for Sons on 27 minutes. But McShane's eventual header went safely into Ewings' hands. Alloa's Kurtis Byrne slipped alarmingly behind Dumbarton's defence as the visitors pushed back. Thankfully for the home team, the ball was scrambled away. At the other end, the Wasps worked hard to deny Sons space, but the width and pace to outflank them was not there. The home side won a series of corners, to no real effect, as the stalemate continued. Then, seemingly out of nowhere, McLeish's efforts were rewarded. A deflection off Andy Geggan put the ball at his feet in a good position. He trapped it, steadied, and placed the ball neatly to the Alloa 'keeper's right. 1-0 to Dumbarton on 36 minutes. Sons' Dunfermline loanee Jordan White came on to replace Pat Walker on 42 minutes. Shortly afterwards Dumbarton launched another attack. James Creaney artfully found McShane in an ideal position in front of goal, but he could not keep it down sufficiently with a powerful header. Alloa were level just after the break, when Michael McGowan punished some slack defending with a fine turn and shot into the far corner; a shot that left White with no chance. 1-1. Sons struck back immediately and decisively. Andy Geggan took his chance just inside the area well, with a polished finish on 48 minutes - making it 2-1 to Dumbarton, to the delight of a vocal home support. Then Sons threatened Alloa further with three successive corners ten minutes later. From the second one, Gordon's close-range, dipping header was only just tipped over the bar by Jamie Ewings. The Wasps 'keeper was in action again shortly, diving to thwart a bursting run from McShane, as Sons looked to make the game safe. However, Byrne came close to equalising for Alloa when the ball reached him at the edge if the area after a fluent, passing move. In thecend he lost his balance at the crucial moment. Martin McNiff replaced Craig McLeish for Sons on 73 minutes. Wasps upped the pace, however, and Dumbarton found themselves defending too deeply. Five minutes later McGowan claimed his second goal of the afternoon to equalise at 2-2, driving high past White. In a last throw of the dice, Sons gaffer Alan Adamson brought on Keiran Brannan for Ryan McStay. After an attacking flourish Alloa continued to pressurise. Michael White saved well from a low, fast and sharply angled free kick. 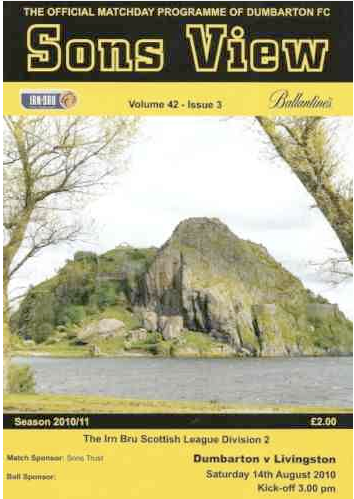 Dumbarton enjoyed a final flourish and came close on two occasions after flooding the Alloa area. But in neither side could add further goals, and the draw was a fair reflection of the balance of play. This summary was first published as Frustrating draw for Sons on the official DFC website. Dumbarton frustratingly lost the lead twice against Alloa Athletic at SHS this afternoon, drawing 2-2 in a match that both sides needed to win. Well-taken goals from Craig McLeish (36 minutes) and Andy Geggan (48 minutes) had given Sons hope of a vital victory and three points, but the home side were unravelled by defensive frailties. A brace from Wasps' Michael McGowan either side of the break punished Dumbarton for slips at the back, and they were not able to take advantage of a number of chances, in both halves, that could have sealed the game. Next week's home game against Peterhead now takes on an even more important complexion for Sons. Whichever way you care to look at it, the next two games at Strathclyde Homes Stadium against Alloa Athletic, this afternoon, and Peterhead the following weekend, are going to be vital for Dumbarton’s 2010/11 Scottish League campaign – which remains focused on staying in the Second Division so that we can build positively for the future. During the Sons’ six-game unbeaten run ending late last month, I warned (without exactly needing to be Nostradamus to do so!) that there could still be a number of twists and turns left in this season. That is certainly how it has turned out. By far the nastiest ‘twist’ was the awful 6-0 drubbing away at Brechin City. No-one really saw that coming. The Hedgemen are undoubtedly a good side. Along with Livingston they are a ‘stand out’ team in an otherwise unexceptional division. But any notion that, as under-strength opponents, they might be easy pickings after their midweek Scottish Cup exertions against SPL St Johnstone were soon dispelled on a chilly afternoon at Glebe Park. Hopefully, the visit to Ochilview on Tuesday night will have proved to be a constructive ‘turn’ by the time you read this – not least because of the opportunity to deny a relegation-zone side points, while claiming them for ourselves. Whatever the outcome of the Stenhousemuir match, however, the lesson remains the same. We have to concentrate on the task at hand and then face forward. There really is no point in looking back wistfully at what might have been. Well, there’s one qualifier to that. Any football team committed to success naturally has to learn from mistakes. But in some cases this doesn’t take too much time and the more important thing is to put the disappointment behind you. Last weekend, everyone knows what happened without needing to go into minute detail. Brechin were better than Sons, and more determined, all over the park. We made mistakes at the back. We didn’t create enough chances or take the ones we had. We got sorely punished as a result. End of story. The important point is that it doesn’t have to be like that today, or next Saturday, or in any of the four games that will constitute Sons’ run-in to that end-of-term whistle at Strathclyde Homes Stadium on 7 May. However, it is worth bearing in mind that after these two matches, against the Wasps and the Blue Toon, all our games will be against sides above us, and the final trio put the lads up against the top three in the division – each one of them fighting hard for promotion. That is why the best opportunity to reach safety is today and the following Saturday. We do not want to be left needing a big haul of points from our hardest matches when the pressure is at its greatest. My calculation is that, if we won at Stenny, four points from Alloa and Peterhead are likely to pretty much guarantee Second Division football at the Rock in 2011/12. Six to make sure. Otherwise, looking at the matches to come and weighing the maths and probabilities, it’s eight points needed out of a possible 18. What we cannot do is rely on goal difference – not that any teams should, but if it ever came into consideration, we’d be sunk! The task of reaching the shore is most definitely ‘do-able’. But make no mistake: when Dumbarton take to the pitch this afternoon (hopefully to a solid wall of support from the home fans), nothing is in the bag. So Sons need to play to their strengths (as gaffer Alan Adamson has clearly been seeking to achieve since he took over), to stay focussed and to think positively. As for the Wasps: well, despite two consecutive draws, Alloa’s last away win was 2-0 against Airdrie United six weeks ago; and they weren’t in action on 29 March. So their need for points is considerable, with early season momentum having dropped away and a substantial goals-against tally having accumulated this year. That means the men from Clackmannanshire will come to the Rock with every intention of administering a nasty sting. But in spite of setbacks, April’s Sons are not the same side as the one that, earlier in the campaign, looked unsure and anxious, unable to respond to reverses of fortune. More skilled, purposeful and indefatigable displays are want we need to see from Dumbarton. Ensure that, and the right results should follow.